For the filmmakers, film festivals offer them a significant way to market their films at a proper rate. There are opportunities they can harness in order to network within the industry, get feedback from professionals, and so on. With the care of film festivals, filmmakers can bring their passion and stories to audiences, and thus receive a lot of appreciation in return. For the audiences, they can support all the cinematic artists that participate in the festivals. The audiences can even just say hello and thank you for their hard work so that they know that their efforts are well received and appreciated. See? It is a two-way street. In the industry of film, the filmmakers need the audiences and the audiences need the filmmakers. Moscow International Film Festival, or best known as MIFF, is one of the most sought after film festivals in Russia and Europe. It is a showcase for films from all over the world, which is divided into 21 categories, including Main Competition, Short Film Competition, and Documentary Competition. Initially, the festival was thoughtfully done to put in the films in a variety of genres. Some of the popular sections were the Special Screenings of most inspiring public figures, for example Bruce Lee; and then the Discovery Programme. Both are some of the sections that have attracted a special segment of audience, especially those who are interested in experiencing exotic and well-directed cinema in a theater. What is NETPAC? NETPAC is the Network for the Promotion of Asian Cinema. For the execution of Moscow International Film Festival (MIFF), NETPAC have the authority to choose the best films from the Asia and Pacific region. Their task is challenging as they have to pick the best films from a pile of films from many categories. In this selection, they have to submit about five films from the Main Competition, two films from Out of Competition, one film from Discovery Cinema, and two films from Special Screenings. Moscow International Film Festival (MIFF) has made a big influence on the world filmmaking process, thus it significantly grew, and received popularity over the past decades. During those years, the prizes as well as recognitions were given to all the outstanding masters of world cinema. Moscow International Film Festival (MIFF) has paved the way for filmmakers and as a result, they have a big opportunity as well as a chance to be known throughout the world. Prize for the Best Actress. Special Prize for the amazing achievement in the career of acting. Prize of the Russian Film Clubs Federation for the best film in the Main Competition (it goes to the director). 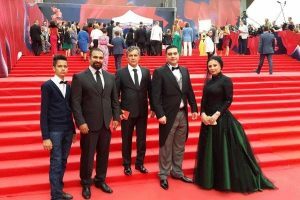 It is highly encouraged that the candidates, especially the winners, to personally attend the Moscow International Film Festival (MIFF). The acceptable format for Short Films Competition’s contestants is DCP. All participants have to fill in and sign the Entry-form for each selected film, and make sure that they should arrive before the final deadline. Hotel accommodation for one representative of the films in Short Films Competition (for the director). So, those are all the information I could gather for you to get to know about Moscow International Film Festival here. For more festivals you can enjoy in Russia, click here. I hope you find this article helpful.